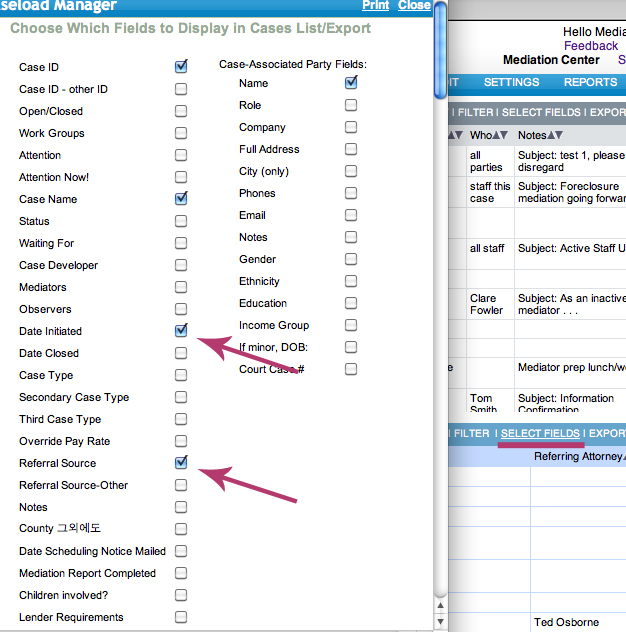 Select which case fields you want to display on your case summary screen. Immediately above the cases section, click SELECT FIELDS. A new window will pop-up that allows you to select the case fields to display.